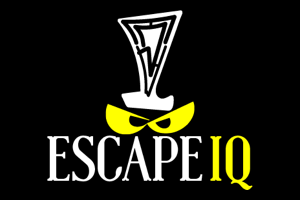 The location for Escape Room Madness was easy to locate and provides groups with plenty of transportation and food options, as the building is close to Penn Stations, numerous Subways options and is right in the heart of Koreatown. Grab a snack and a water before the game because there are no options once you are in the building. You can tell just from entering the lobby that the staff put a lot of effort into the experience by providing guests with many puzzles and test locks to entertain you while you wait. The staff is friendly and courteous and will assist if you get stuck in some of the test puzzles. The lobby and escape rooms are divided by a curtain, which adds a level of mystery. Once you enter the room, there are a lot of details to take in. This particular room is rather small, so large groups (more than 6) will not find this room comfortable. A member of the staff accompanies your group into the room to briefly explain the room. Our team felt that the explanation was a too much because the detailed discussion about how things worked, the cameras, the machinery, etc took us out of the immersion, and took away some of the “puzzle” challenge. Post gamemaster explanation, there is an opening video, which was well made and informative about the room. This room seems is average with regard to quality. The room featured pieces that were in working condition enough not to hinder the game. The average nature of the room results from the decorations feeling somewhat basic or minimal, don’t always lend to the theme. Our room for example, had pieces on the wall that didn’t seem apocalyptic but instead featured components that served to move the game along. Some of those more handmade props seemed low quality especially when compared to other types of consoles we have seen. Additionally, there were components that were a bit damaged (i.e., items that might have previously been glued down) and that left our team slightly confused as to whether or not they were part of the game. The room also missed a little on the theme and did not feel apocalyptic to our group so much as strangely medical, with a number of the puzzles fitting a medical setting. The story also confuses participants with the crux being about people who are tested with puzzles in order to be selected for a mission related to some apocalyptic event. The cute-meet nature of the story leads to the feeling that the puzzles were the center with the story crafted around the puzzles. Throughout the game there was no indicator of progress or success like you might see in a testing facility. The room experience wasn’t bad, but the immersion isn’t a huge draw, which is a disheartening conclusion when the other rooms featured in this company do come much closer to a cohesive and inviting story-line. Additionally, there were some issues with the room that removed our team from the game. There were puzzle that the game masters knew were wrong but had not replaced them yet and so, our team struggled unnecessarily with puzzles that should have been easy to solve—these frustrations remove members of the game and instead of wishing to solve the problem, you might just wish to be done with the room. The puzzles themselves struggled to relate to each other, but individually they were decent enough. Novice players might find this room to be a range of very easy to incredibly difficult with a mix of thinking puzzles and physical work. 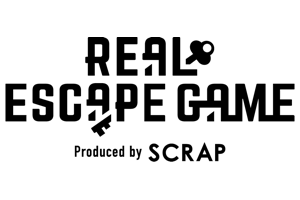 This room may not satisfy players who are more experienced with escape games as the majority of the room relies heavily on combination locks, which our group felt lost novelty after a while. The rest of the puzzles that rounded out the locks seemed obscure or out of place, or like the effort fell short. One of the puzzles had the manufacturer’s directions as the means of opening it rather than relying on an interwoven plot point. If your group can accept that there is no storyline and that the puzzles are unrelated to each other, then you may have a better time than expecting a tight narrative room at times, the puzzles were frustrating and times when the puzzles were creative and sometimes challenging. On the whole, our group concluded that the overall fun can be considered higher than the sum of its parts.